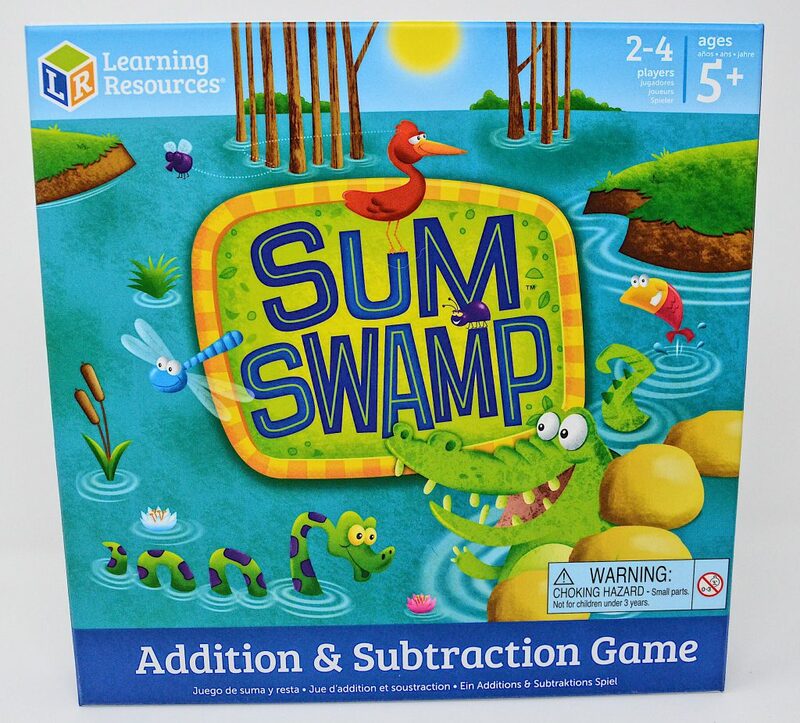 Learning Resources Sum Swamp game is an educational board game with an emphasis on developing math skills. The game is ideal for ages 5+ and is designed for 2-4 players. Journey through the swamp by adding and subtracting numbers on the dice. 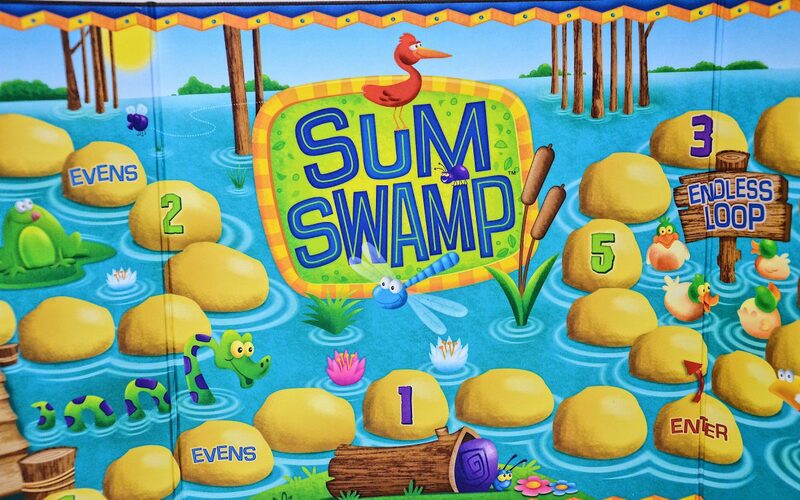 Kids will learn math skills as they avoid the pitfalls of the Sum Swamp. The game is designed to develop and sharpen beginning math skills, because the only way to escape the mire is to roll the dice and add and subtract your way around the board. Children around 5 years old should find to be a fun and interactive game that is also a learning challenge . 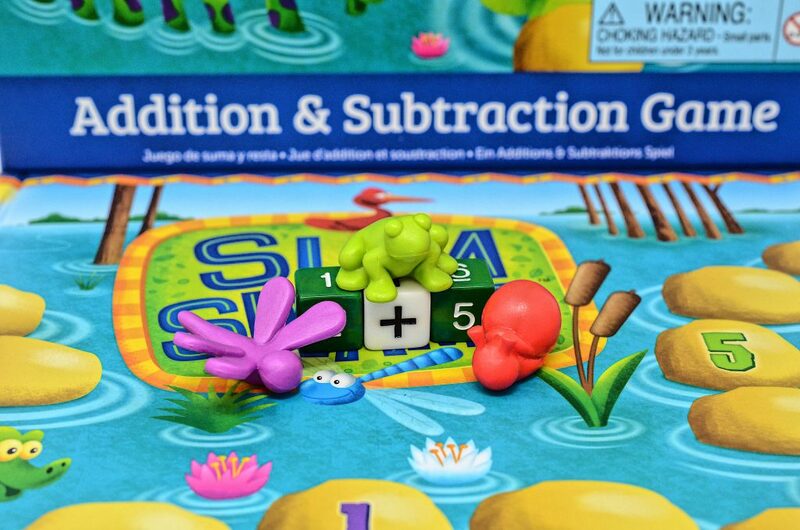 Kids will journey through the swamp guided by their math skills. You will encounter challenges and race ahead through short cuts.You begin the game by picking your game marker (4 swamp creatures to choose from). To determine the number of moves for each turn, players roll 2 number dice and 1 basic math symbol die, then they do the math. 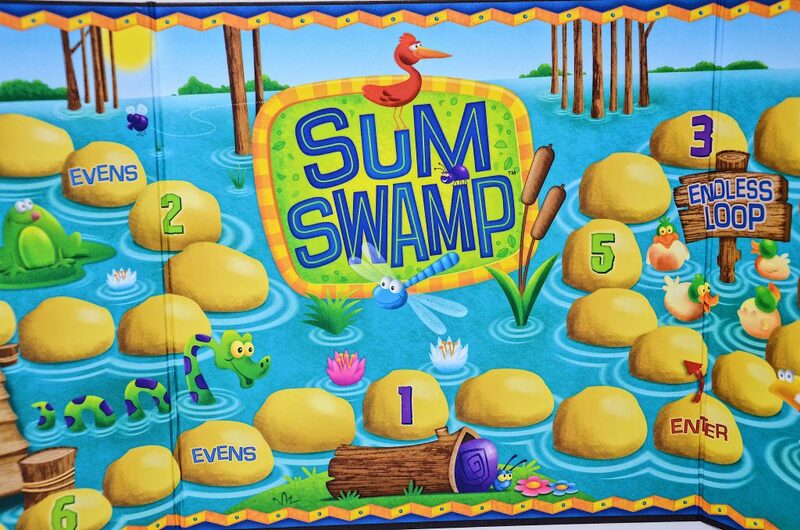 Encourage basic math drills through fun game play with Sum Swamp. This educational board game is a great way to reinforce and develop beginning math skills. The game is ideal for ages 5+ and is designed for 2-4 players. This is a great addition to your family board game collection.